Most dental problems have a variety of possible solutions. You should choose your approach based on your budget, comfort level, and cosmetic desires. If you’re scheduling dental restoration, you’ll find that there are both direct and indirect treatment options available. A direct restoration restores the existing tooth by inserting a filling material into the damaged area. Tooth fillings are available in several materials. You can have a cavity filled with gold, silver amalgam, porcelain, plastic, composite resin, or a glass ionomer. An indirect restoration covers the damaged tooth with an onlay, inlay, or crown. These are available in various materials as well, including gold, porcelain, and composite resins. If you’re missing one or more teeth, you can opt for dental implants or explore non-implant options like removable partial dentures, a tooth-supported fixed bridge, or a resin-bonded bridge. During your consultation, your dentist Dr Donan, in Fresno, will help you explore all the options available to you. He will ask leading questions to help you determine which approach is best for your personal needs. You’re not required to schedule a procedure after your consultation. You deserve to get the care and treatment that’s the best fit for you. Some dental procedures are quite complex. Before you settle into the chair for the complete treatment, it’s important to know what’s ahead. Your consultation is the perfect time to ask all your questions and a get a detailed explanation of what will take place while you’re in the chair. In many cases, your Fresno dentist can offer a helpful visual, using tooth models and product samples to help you better understand each step of the procedure. If you’re nervous, this may also help to ease some of your tension or fear. Dental care is highly personalized. Each person and each tooth is different, and decay or damage can happen in various ways. A treatment that worked wonders for one person may be impossible for another, though their situations may look similar to a casual observer. Other health conditions outside the mouth may even affect your eligibility for certain procedures as well. Discuss all health problems and medications with your dentist in Fresno CA at the consultation, so you don’t arrive for a procedure only to find that you can’t complete it that day. Some examples: If you’re taking blood thinners, for example, you may need to stop the medication briefly to prevent excessive bleeding during the procedure. Patients with certain heart problems are advised to take antibiotics before having dental work. If you have heart disease, discuss this with your dentist in Fresno CA, to determine whether antibiotics are necessary for your treatment. Pregnancy will impact both your dental health and the approach you take to restorations or other treatments. So, tell your dentist about any conditions or suspected conditions, including if you’re pregnant or plan to become pregnant. Proper dental care seems straightforward, but many patients are missing key elements of their dental care routine. You may brush daily, but find that you’re not using the best toothpaste for your individual needs. Perhaps you floss regularly but aren’t aware of the proper method for getting around tricky tooth formations. A consultation is one of the best times to address regular dental care issues. Your dentist can offer a wealth of information and advice that will help you properly care for and protect your teeth. This is particularly important if you’re considering a major restorative dental procedure. You want to ensure that your refreshed smile gets proper care and attention so you can protect not just your newly restored teeth, but also your new implant, filling, denture, veneers, or other feature. Some dental procedures come with a high price tag. At your consultation, our dentists will be happy to discuss payment options and our administrative staff will be happy to contact your insurance provider, if you have one, to determine what portion of the bill you’re responsible for. A dental consultation gives you a better idea of what’s ahead and how to proceed. 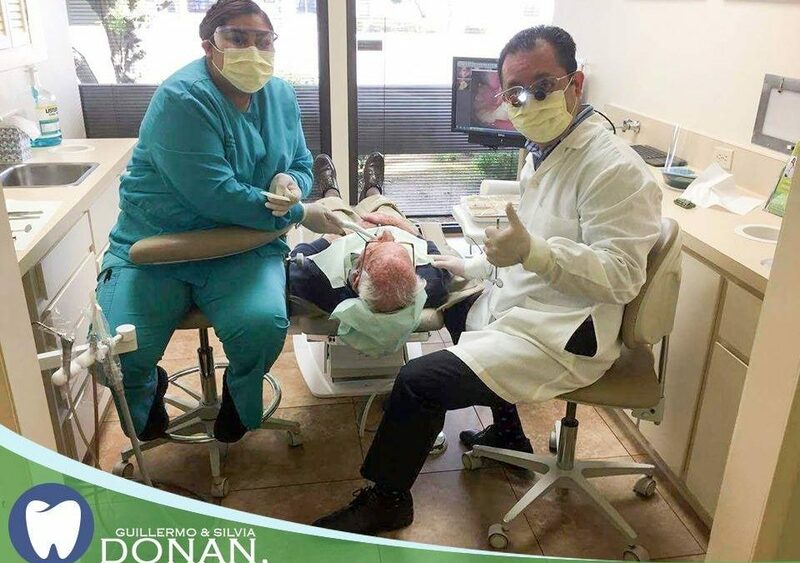 You can consult with several dentists to get a well-rounded view of the issue and available treatments, or move forward and schedule your procedure if you feel confident after the first meeting with Dr Donan, the best reviewed dentist in Fresno CA. But either way, a consultation visit should give you all the information you need.